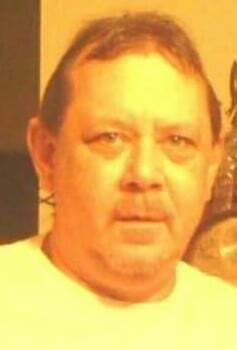 Rickey “Rick” L. Foster, 54, of Mechanicsburg, passed away January 31, 2019 in his home. He was born December 1, 1964 in the state of Delaware, the son of Ronald L. and Sandra K. (Gorton) Foster. Rick was a member of the Machinist Club and the Union Club. He enjoyed fishing and spending quality time with his nieces and nephews. He was a graduate of Northeastern High School. Survivors include two brothers; Jeff (Shirley) Foster, Mechanicsburg and Ronald Martin ”Marty” Foster, Delaware, nieces and nephews; Heather (Jerry) Arnold and Jaylah, Sherry Phillips (B. J. McCombs) and Lexi and Laney, April (Jody) Wilson and Jase, Rickey (Tracy) Lewis. He was preceded in death by his parents. Funeral services will be held at 11:00AM Friday in the JONES-KENNEY-ZECHMAN FUNERAL HOME with Pastor Rick Clos officiating. Friends may visit with the family for one hour prior to the services. Burial will follow in Vernon Asbury Cemetery. Condolences may be shared at www.jkzfh.com.